One of the blogs that sucked me right into this new world of mine was Chalk Talk, so, of course, I still follow her diligently! She is hosting a Math Work Station Linky Party, so I thought I'd link up with a center I have available FREE at my TpT Store. It is a differentiated number sense center, perfect for grades PreK through 1st featuring MONKEYS (of course!). 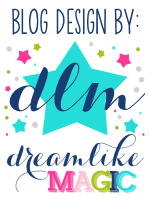 Click on April's cute little blog button to see the other entries in this linky party!